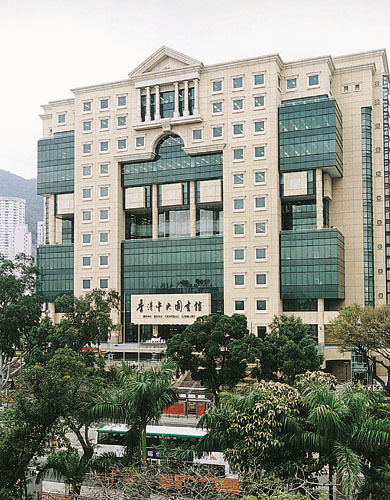 Hong Kong has an extensive network of public libraries, offering a wide variety of services. Please browse through this article for information on all libraries including their locations, online services, resources for kids and teens, and lending services. Public libraries are located over the territory for easy access and within your reach. The following link will lead you to further information on the Hong Kong Central Library and other public libraries in each district of the city. Information on the opening hours of all libraries is available through the following link. As our largest public library, the Hong Kong Central Library spans over a floor space of 33,800 square metres and provides a full range of facilities and services of a larger scale and to a fuller extent. To name a few, there are resource centres, multi-purpose activity rooms, and comprehensive reference and information services. More information is available through the following links. Our public libraries also offer a range of online services. You can access the main catalogue and the Multimedia Information System via the Internet at home or at any library. If you are a library card holder, you can also enjoy the library e-services by logging into MyGovHK and linking up the two accounts. You can then access the e-book collections and other e-resources, do catalogue search, reserve and renew library materials, as well as view the borrower’s records. The online catalogue enables search, reservation and renewal of library materials, as well as enquiries on borrower’s record. You can access both the full and text-only version of the catalogue through the following link. The Multimedia Information System provides one-stop service for search of online e-resources, access to our digitised collections, and booking of workstations in applicable libraries. Further information is available on the System’s website. The public libraries offer access to a number of e-book services in both Chinese and English , as well as audiobooks. If you are a library card holder, you can access over 200, 000 titles covering academic texts, business, technology and social science books. The following link will take you to further information on the e-book collections. Other e-resources of our public libraries includes various e-Databases covering a collection of Chinese classics (in Chinese), encyclopedias, journals, music & video materials and many others. Further information is available through the following link. The public libraries offer a wide spectrum of regular extension activities. They include exhibitions on special collections, thematic exhibitions, talks and seminars, and public lectures. An activity calendar is available through the following link. Interests and requirements of children and teenagers are also catered for at the public libraries. Apart from the kids’ and teens’ collections, there are kids’ activities, kids’ and teens’ reading programmes, recommended reading lists, electronic resources for both groups and other targeted services. The following link will take you to further information. All Hong Kong identity card holders, and children eligible for identity cards, can apply to use the lending services of the public libraries. Upon the provision of a library card, or permission to use your smart Hong Kong identify card for library purpose, you will be able to borrow or reserve materials for loan. Borrowers will be subject to overdue fines for all materials returned late. Further information on the scope of the lending services is available through the following link. Application for a library card is free of charge. Applicants are required to complete application form LCS4. For applicant who is under the age of 18, the guarantee section of the form should be signed by his/her parent or guardian as the guarantor. Proof of address, such as a bank statement or electricity bill. if the guarantee is aged 18 or above, the original or photocopy of other supporting document(s) (e.g. Registration Card for People with Disabilities, medical certificate in proof of chronic illness) is required. If you lose your library card, you should report the loss to any public library. The report may first be made by phone. You can access the telephone numbers through the following link. You should then submit in person a completed loss reporting form LCS111 in person to any public library. When submitting the form, you will need to show your Hong Kong identity card or a photocopy of birth certificate for your child who does not have an identity card. HK$17 if you are under 18 years old. You can also choose to use your smart Hong Kong identity card as a library card. To do so, you will need to complete the application form LCS 694. For applicant who is under the age of 18, the guarantee section of the form should be signed by his/her parent or guardian as the guarantor. Proof of address such as a bank statement or electricity bill. Proof of your guarantor’s address. Successful applicant will be issued with a Library Card Number. If you lose your Smart ID Card allowed for library purpose, in addition to reporting the loss at any Registration of Persons Offices of the Immigration Department, you will also need to report the loss to any public library. The report may first be made by phone. You may access the telephone numbers through the following link. You should then complete and submit report form LCS 696a, and indicate on the form whether you would like to apply to use your replacement Smart ID Card as a library card. The form can be submitted to any public library.